As a very special four-stop tour around different venues in the country saluting to the music of the British legends and being hosted by This Morning host and national treasure Phillip Schofield, The Knights of Music sets up their stage in the Southampton Mayflower Theatre. 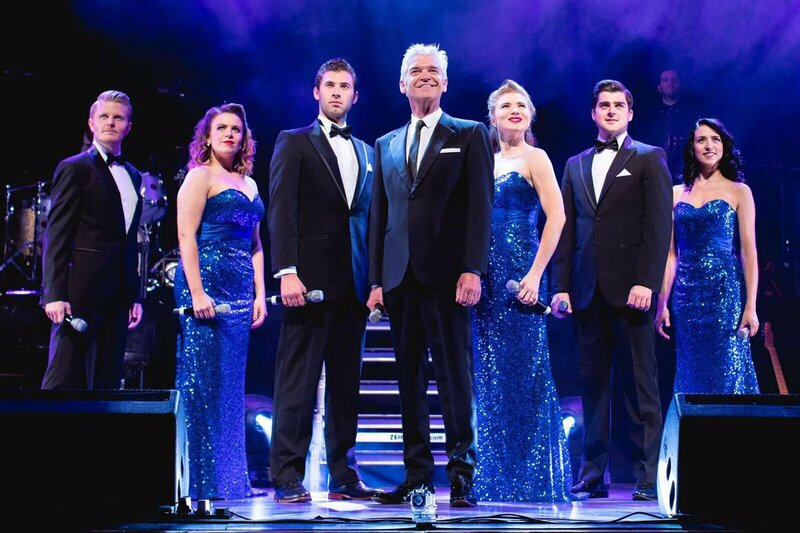 Being Schofield's first theatre outing in 17 years and with a great support West End cast, expectation was high. The show began with Schofield wondering onto the stage to great applause, introducing the show, where he announced that 20 years prior to the performance at The Mayflower, he stood on that same stage to start the Southampton run of Joseph. The both male and female cast kicked off the tributes with Sir Elton John, hitting every note perfectly to classics like 'Rocket Man', 'Circle Of Life' and 'Crocodile Rock', complete with expertly executed choreography and every inch of the stage being used, even including the audience in their performance. They also honoured musical creators such as Lord Andrew Lloyd-Webber and Sir Cameron Mackintosh, playing 'Miss Saigon', 'Jesus Christ Superstar' and a Les Miserables medley, something cherished by those who love the musical, all accompanied by time-appropriate outfits. Cast member Danielle Hope (winner of BBC's Over The Rainbow) performed an exceptional cover of 'Somewhere Over The Rainbow', paying a great tribute to Dame Julie Andrews - I can see why she was chosen as the winner. In between the performances, Schofield was on stage and telling anecdotes from his theatre past, including the horrendous audition he went through for the part of Joseph, performing at the Palladium for the first time, and meeting the people the show was honouring. 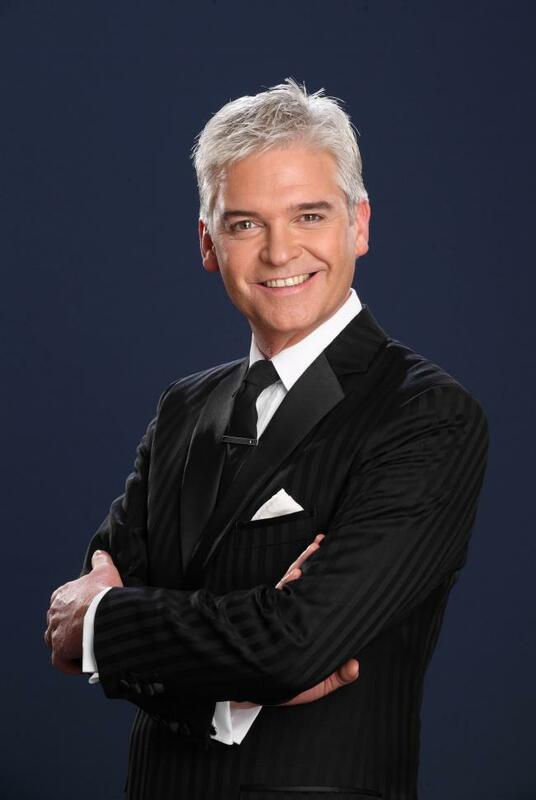 It was filled with comedy elements, and Schofield was definitely in his presenting element, mixing both theatre and TV for the show. Part way through the show, it was the moment everyone had been waiting for. Schofield announced that it had been a while since he'd performed 'Any Dream Will Do' and with some egging on from the audience, he dusted off his vocal chords and sung a duet of the song with fellow Joseph star Simon Schofield (of no relation, may I add) and a solo of 'Close Every Door'. The cheers and applause from the audience just showed how much they wanted to see it and were surprised by Schofield's singing abilities, especially having not performed music for 17 years. 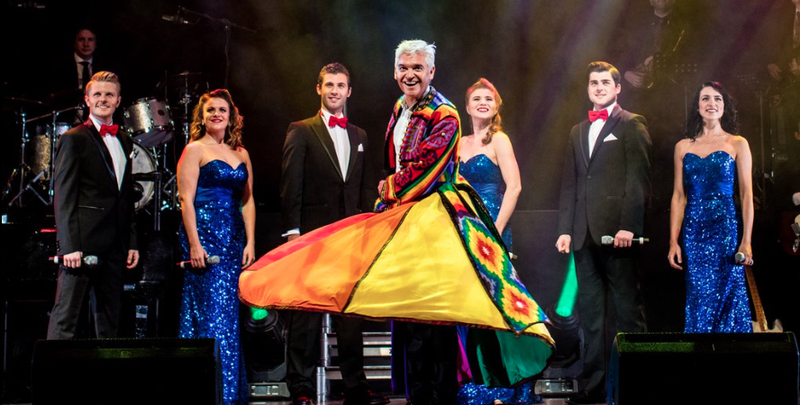 During the finale featuring songs from Joseph, the technicoloured dreamcoat was brought out from the wardrobe where Schofield had been hanging it all the years, and it fit him just as well as it did 20 years ago. If this show or something very similar goes on tour again, be sure to go and see it. Musical fan or not, there's a lot of great reasons for you and your family to see this West End cast and honour The Knights of Music. I also had a chance to meet both Simon and Phillip Schofield after the show, here's a little selfie Phillip and I took together.